I'll throw it in tomorrow and hope that it works. Just kidding, I couldn't wait. I threw it in just now, cleared the codes and drove it for about 10 minutes. Nothing came back on right away and she didn't show any symptoms so I'll take that as a good sign but hold off on officially announcing myself in the clear. I'll see if it comes back on sometime tomorrow. It's been a few days and the codes for either of the solenoids have both stayed off. 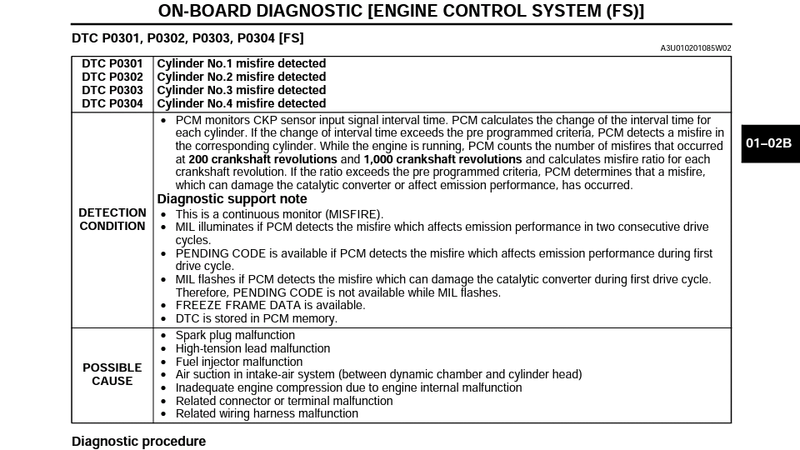 However I am still getting a cylinder 3 misfire, P0303 I think. I changed all the plugs about 3k miles ago because I was getting a misfire and that fixed it, but now it's misfiring again. I changed the wires/coils yesterday and it's still misfiring. Dirty MAF sensor maybe? Could've gotten dusty from my leaky tube coupler on the air intake. My RPMs still waver at start and idle which leads me to belive it could be a vacuum leak or my MAF sensor giving false readings, especially because the misfire only occurs half the time. Is it possible that would cause a misfire only in #3 though? I did get a P0300 code once but it went off pretty quick. Sometimes I'll drive somewhere no problems, sometimes it'll go crazy. It also only happens when I punch the gas, like to pass someone on the freeway or to take off from a light. If I back off on the throttle under ~50% the misfire stops and I can drive normal. So I don't think it's an ignition problem, but that it's running lean/rich somehow. Last edited by heitktebinltraj; 12-15-2018 at 01:45 PM. Changing the focus of your thread is up to you. As long as people see it to respond. You may have a partially fouled injector. That could certainly be cylinder specific. If it were me I'd put half a can of seafoam (or some kind of injector cleaner) in the gas and run it through. It doesn't cost much and might fix your misfire. If you disconnected your battery the ECU needs to relearn how to idle the car. It takes about 100 miles of driving with a bunch of attempts to idle at different temperatures and such. I'm curious about what you've heard about seafoam ?? The worst I've heard is that it's just snake oil and doesn't do anything. I use it all the time... A shot in the gas at every fill up and half a can in the oil with every oil change. It appears to be working great for me. I don't think I've disconnected the battery since I bought it, a few thousand miles ago. Usually when I start it cold it'll Rev up to 2500rpms and slowly make its way down to normal, sometimes revving back up every once in a while on the way down before settling. Sometimes it'll dip as low as 500. It's all over the place. I know it definitely helps with carbon buildup, I've heard it does nothing at all but I've also heard stories of it damaging things by putting it in your tank. Although I've heard way more good things about seafoam then other additives. I'll throw some in next time I fill up, you just do a quick squirt in the tank before filling up? Every time my idle starts to bounce a little I put Seafoam in the brake booster vacuum line. It always smooths out the idle. You may have a dirty IAC. You can remove it and clean it if you're nervous about Seafoam. There is a manifold in that area that bolts onto the cylinder head, with the upper hose and CTS sensors on it. Sorry, I forgot to update when I fixed it! In summation, the CEL was being caused by the solenoid I replaced. It hasn't come back on since I replaced it. The engine stutter was a misfire caused by a cracked ignition coil, #4 was cracked and sparking. The jumpy idle is my brake booster leaking. So I would consider this resolved 😊 thanks everyone for your help! HELP WITH CEL CODES P0090 and P2009! !